Mix all ingredients for 4 minutes on a low speed and 10 minutes on a higher speed. 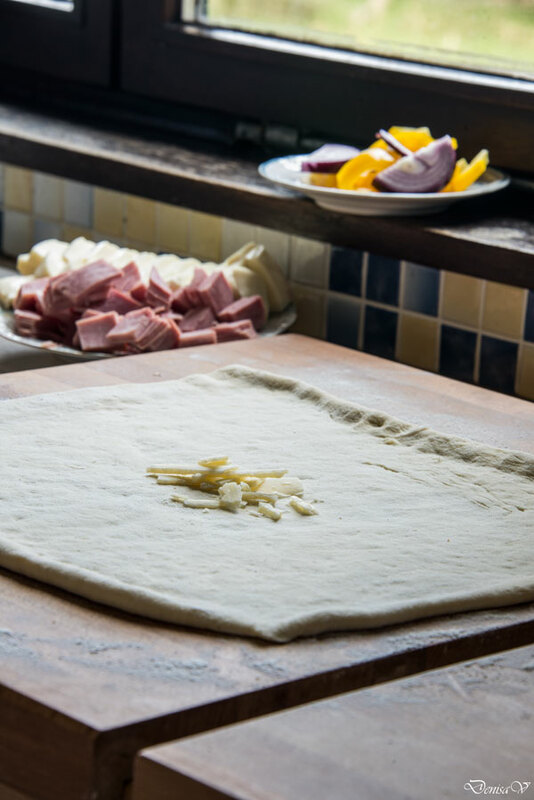 Stretch the dough and put it on a pizza pan or on a board. Final fermentation 1h at room temperature.